How do you get a certification to teach English abroad? As a native English speaker, you were practically born with a skill that many are dying to have. If you’re looking to live and work abroad, this is extremely useful, as many countries around the world are willing to pay native English speakers a decent wage in exchange for teaching their citizens the language that many consider to be the key to their career progression. If you want to teach English abroad, you’ll need to get a TEFL (Teaching English as a Foreign Language) or TESOL (Teachers of English to Speakers of Other Languages) certification. But there’s a bit of research and planning that you’ll need to do before you start of the journey of getting your certification to teach English abroad. This is a huge part of your decision to teach English— where do you want to live and teach English? You may be committing yourself to a year in this place, so do your research and look into alternatives too. Every country values and deals with English teachers differently, so here are some things you should look into when trying to decide where you’d like to teach English, as this could affect how you go about getting your TEFL certification. If you have a region or country in mind, the first thing you’ll need to find out is if your nationality is allowed to work there legally. Will you need a visa to work? What are your options for getting one? Is it expensive or does it take too long? If it seems nearly impossible to be able able to work legally where you want to, do some research into the “flexibility” of these rules. While I don’t condone living or working somewhere legally, there are plenty of places around the world where people do it all the time. Just be careful— just because other people have been able to beat the system doesn’t guarantee that you will. Popular destinations for English teachers, like Rome and London, often have plenty of English teachers looking for jobs with not enough jobs to give them. Do you research, and if you’re not dead-set on a certain destination, being flexible could mean much better pay, working hours, and just an easier time getting a job. That being said, governments and schools that are desperate for English teachers sometimes help pay for your flight, your accommodation, and more if you sign a year-long contract with them. Being flexible has its perks (literally!) Some of those countries don’t even require you to have a certification to teach English abroad, but it comes with a catch– it’s always “less desirable” places around the world. Find out which countries pay the highest monthly salary to English teachers. A TEFL or TESOL certification is quite broad— it enables you to teach English on a very general basis. Choosing to have a specialization can help you stand out from other applicants, and in some cases, make more money. Working with children is difficult but if you learn how to do so effectively then you open yourself up to some more English teaching opportunities. Business English courses are very popular in many parts of the world, due to the increase in demand for English-speaking workers. While it may not be as fun as working with children, it can bring in the big bucks (or euros, or yen, or…you get). You can even specialize in tutoring for the TOEFL exam, which is the test that foreigners need to pass in order to attend college in the US or UK. By gaining knowledge in how that test works, you can charge a high hourly rate for English tutoring abroad. 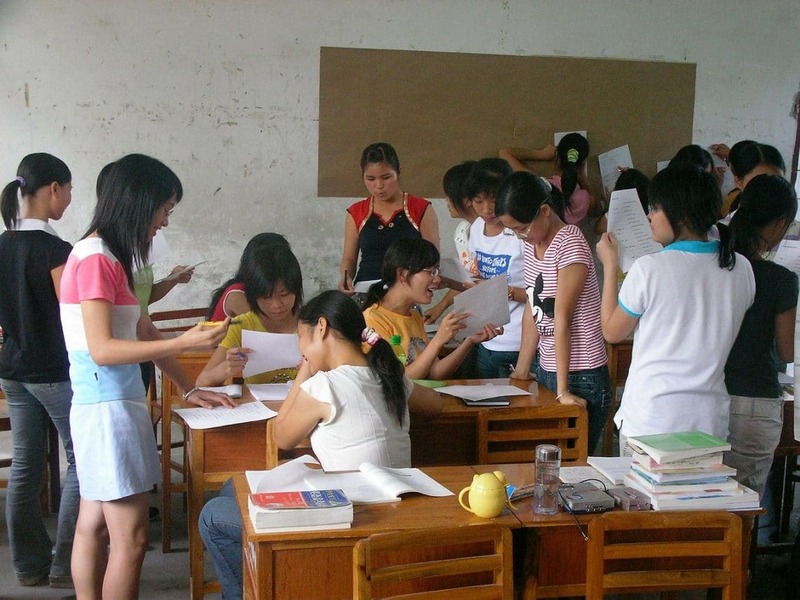 There are two options for how you can get a certification to teach English abroad. You can complete your certification course online, which is great if you like to work at your own pace and are planning on getting certified while still working or going to school. You’ll have to be self-motivated for this option, as it’s essentially the same as taking an online class and you’ll have assignments due and tests to take on your own. The downside is that you won’t get in-classroom experience, but some online courses give you videos of sample lessons being taught by experienced teachers in different parts of the world. This give you the opportunity to observe real lessons. It’s also a good idea to try get some in-class experience on your own by volunteering to teach in your area, perhaps at a YMCA or local school. You don’t necessarily need to complete 20 hours of practical teaching or observation in order to get TEFL certified, but it will make you more desirable when applying for jobs. If you happen to already have teaching experience, then getting certified online is definitely the easiest and most cost-effective way to do it. If you prefer to learn in a classroom, you can choose to do so abroad or in a major city back at home. The advantage of getting your certification abroad is that it may help you connect with language schools that could hire you once certified, but it’s also much more costly than doing it while at home, as you’ll have to pay for airfare, accommodation, and more. Both options should offer in-classroom teaching experience. There are many options out there when it comes to certification organizations, so there are a few things to look out for when deciding which to use. What level of certification and training would you like to get? This will depend on what you plan on using your experience for. For example, some courses offer intro courses, which are ideal for someone who wants an introduction to English teaching (obviously) or looking to use their experience for volunteer purposes. Or you can go for a more advanced course which will take at least 120 hours to complete but will get you a certification to teach English abroad in most destinations. Many TEFL companies promise to help with job placement once you’ve completed your course, but you may find that their services are actually quite limited. Before you commit to a program, contact the job placement team and ask them as many questions as you can. Let them know if you have a certain destination in mind and ask who their hiring partners are in that area. Also pick their brains on when peak hiring time is for these partners to see if it coincides with your ideal TEFL certification dates. Does the course cover your specialization? Remember when you brainstormed what you might want to specialize in? When choosing a course, be sure that it covers your specialization, but if it doesn’t, see if there’s the option to add an extra module on, like a Teaching English to Young Learners (TEYL) specialist certificate. What level of support does the course offer? Will you be mostly left on your own to submit assignments at the end of each module with a pass/fail grading system, or do you have a trainer assigned to you that will carefully grade each of your assignments and tests and give you feedback on how to improve? When it comes to an online course, that can be invaluable as you’re not sitting with your teachers in a classroom, face-to-face. Many organizations have testimonial pages but if you ask, you may be able to contact a past student to hear about their experience with the course and finding a job afterwards. Google the program that you’re interested in and see if you can find any students to contact that way. So many English teachers blog these days, so you may be able to find someone that way. Some organizations will give you the contact info of past students, so you can ask for that, but try to find someone independently as well so you can get an honest answer. They can tell you whether that organization is a good choice for getting a certification to teach English abroad. Once you’ve chosen the organization you’ll use to get your certification, be prepared to work hard— English is easy when it’s your first language, however teaching English is another story! Have any questions about how to get your certification to teach English abroad? Comment below and we’ll answer them. 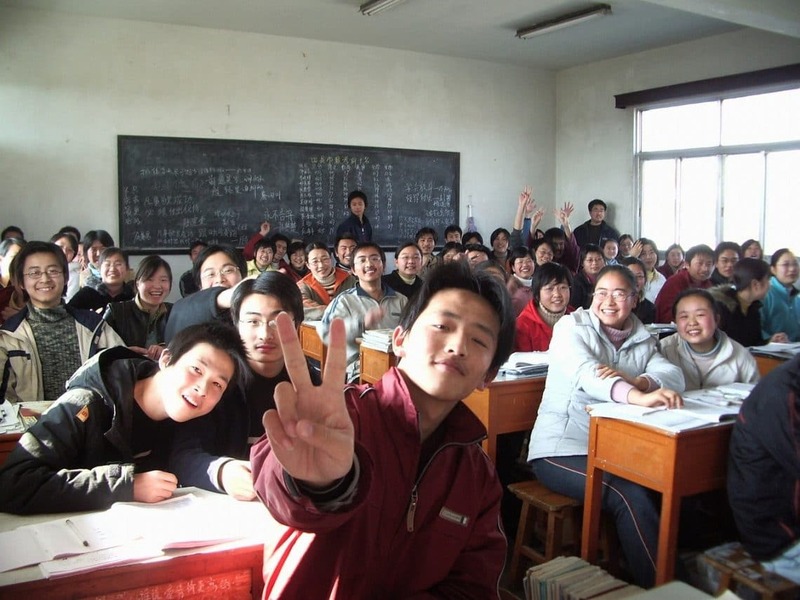 Is it possible to get a TEFL if English is not your first language? I’ve been studying English since I was seven, attended English Speaking Class for three years, got 94% on a TOEFL test and would like to teach English abroad and live in different parts of the world, can I? Hi Anna, it depends on the certification program, but seeing as you’ve successfully taken a TOEFL test, you’d probably be just fine! Could you possibly list some well known, accredited, organizations to go through? Would it be possible to obtain TEFL if English is not your first language or course? If you are fluent in English then usually yes you can still get certified but it will be at the discretion of the certification organization. I’m currently a freshman in college going for an English major with French and Mass Media minors. If I’m not going into English Education, what do you think my chances are in being able to teach abroad? If you have any contact information that I could get to you by (if you have enough knowledge and information on it), I would love to get in touch with you! In many countries, as long as you have a TEFL certification and the right visa you will be able to teach, regardless of what your degree is in. Hi my name is China. I am a master degree candidate and I graduate in December 2017. Would my master degree be equivalent to a teach certification?? Usually you’d still need a TEFL certificate. What online organization would be the best? Still need your TEFL certificate for most countries! I am 18 and I would like to teach English abroad. I do not have a degree (and I am not planning on getting one). I ideally would like to earn my TEFL qualification abroad and work in the same country for job assistance benefits but I am finding it hard to find such courses. Could you help me? I could earn my TEFL qualification her in the UK but I am sceptical on job offers and when jobs are available, could you help me? Being a UK resident you’re lucky to be able to work in lots of places in Europe for the time being! I am interested in getting certified so that I may teach. Can you tell me where I can go to get certified? Can I get certified for more than one country?? Usually you can get certified in any country and your TEFL certificate will be valid anywhere. Try Via Lingua or any online course. I have noticed that a lot of countries want people between the ages of 18-30 yrs old. Why is that? Also, is it still possible for an older person ( 45 ) to get placement? I have no experience in teaching but I am fluent in English. If I do the courses you offer at TEFL will i be qualified to teach abroad?? Once you have a TEFL certificate, you’re qualified to teach English in my countries around the world. I am a lady to turn 41 this year. I also have a disabilty, my English is fluent as well, because i have obtained Symbol D HIGHER GRADE in.my matric senior certifiacate. I also had an internship in Education department but i was placed in admin clerk as an intern. Then will i qualify to go any where being disabled somehow? If so, do i also need a TEFL certificate? Hi Virginia, you’ll need a TEFL certificate still. I am considering getting this certification but I am not fluent in any other language. Will I still be able to find work in Italy, for example, if I don’t know Italian? Yes, they just want you to speak fluent English the whole time– you don’t have to know the native language and that can actually almost be a plus. You’ll likely be just fine! Is it possible to teach for the summer? I am not an english teacher but I am inyerested in teaching english in Thailand. Could you tel me where in South Africa I could get the courses? Hey Jonah, a quick Google search will bring up lots of options. I am interested in teaching english abroad. I have a substitute Teachers certification. I have over 10 years experience as a substitute teacher and one year as an Art Teacher for grades 4-5th grades. Do I still need a tefl certificate? Hi Mimi, each country is different so you’ll have to do some research. Hi, I’m going to get my TEFL certification in Prague with http://www.praguetefl.com It was recommended by a friend of mine. What do you think? Is it a good choice? A recommendation from a friend who has gone through their program is a great way to find one to do yourself. I just bought the 150hr TEFL UK course on the http://www.teflsource.com site. I want to use it for teaching in Asia but now I’m worried that I will need a course that includes classroom hours. The course I bought is online only, will that be enough for China or Korea?